Half Dome, within Yosemite National Park, is one of the most beautiful and famous landmarks within the United States. Yosemite has much to offer making this one of the most visited parks each year. Half Dome and the stunning Yosemite Valley are major highlights. 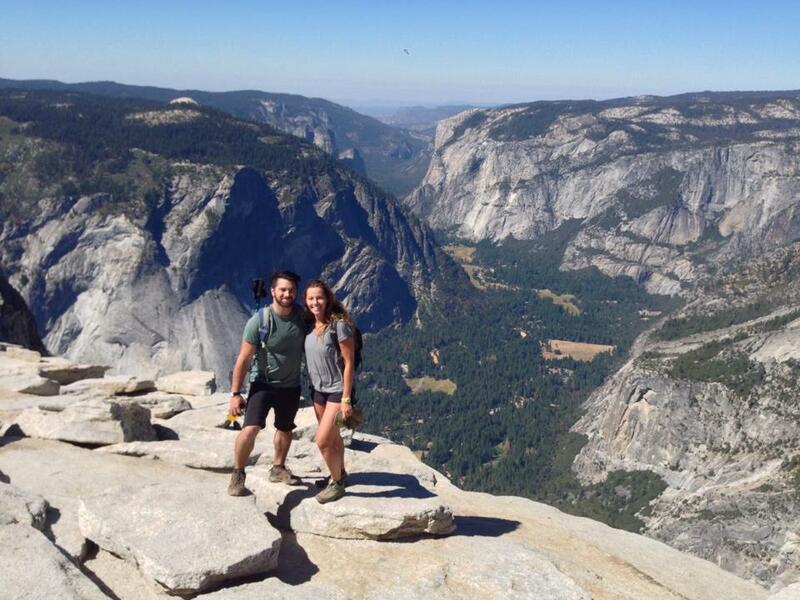 There are several hikes and multi-day treks, and the Half Dome hike is one of the best. This strenuous hike is open from Mid-May through October when the cables are up. The very top part of this hike, the cables section, requires a permit. Permits restrict this hike to 300 people per day, so planning ahead is essential. There are a few ways to get a permit. Advanced lottery system: The lottery system is for 225 tickets. Select your dates in March and you find out your climb date in April if you get selected. Apply online for the advanced lottery system. Daily lottery system: Approximately 50 tickets that are unsold or due to cancellation will be available each day. The daily lottery has an application period two days before the hiking date with a notification late that night. Apply online for the daily lottery system. Backpackers: 75 tickets are available for those interested in backpacking overnight, including the Little Yosemite campsite. You would apply for a permit with the wilderness permit. Enter a selection of 6 dates (all mid-week) for groups up to 6 people, and if you get accepted, they tell you the day you are able to climb, with no ability to change that date. Most start the hike just before sunrise. Parking is available a half mile from the trailhead in the lot just past Curry Village. Both trails begin at Happy Isles/Shuttle Stop #16. If you take the shuttle, you will cut out the extra mileage from parking. 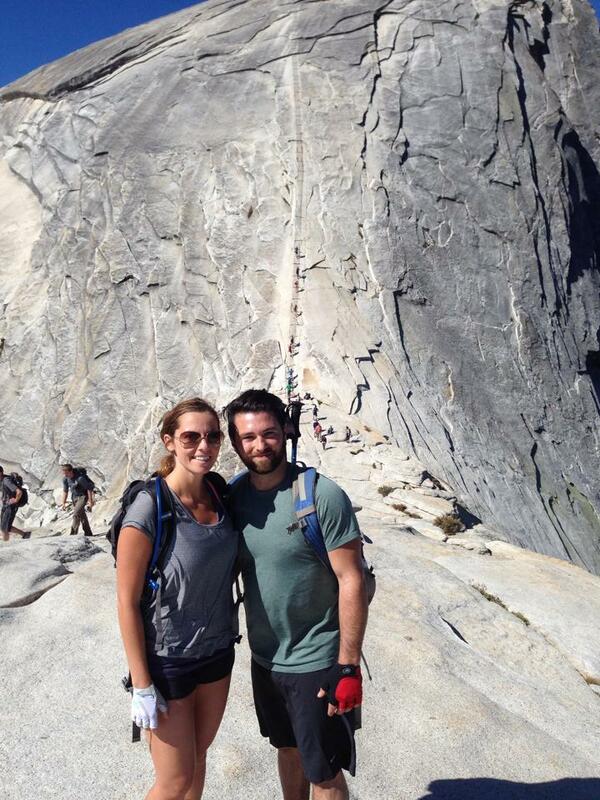 Shortly after a mile into the hike, you have 2 options to ascend, the John Muir Trail (JMT) and the Mist Trail. 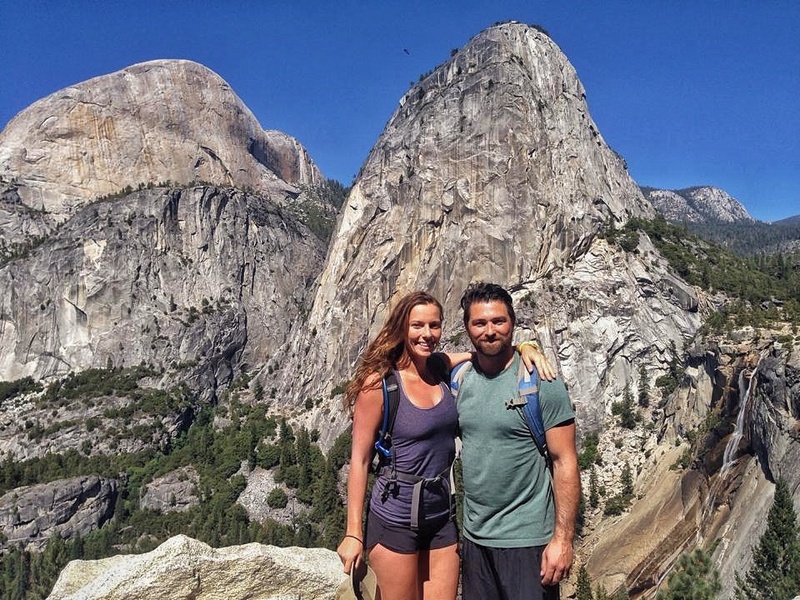 We recommend going up the Mist Trail and descending down the JMT. The Mist Trail is shorter but steeper of the two. This route is more scenic, with waterfalls along the hike up. John Muir Trail is more gradual and longer but helps those wanting to avoid as many steps. It adds 1.5 miles each way, so we recommend this route on the descent. When you arrive at the top of the Nevada Falls, both the Mist Trail and JMT meet again. Above Nevada Falls, there continues to be an ascent until Little Yosemite Valley. There is a campsite here for overnight backpackers. Most of the terrain around Little Yosemite Valley is relatively flat until the last area of the climb. The final push on the backside of Half Dome is very steep and the very strenuous. With stunning views in every direction, steps lead you up to the cable section that leads you to the summit of Half Dome. There are gloves available for use at the bottom of the cables. This is where the fun begins. With others attempting this climb each at different paces, early birds already on their descent, and some scared half to death waiting, passing people will occur. It is incredibly steep and 1 slip off to the side would not result in a happy ending. Be careful, stay within the chains, and be smart on the climb. Try to get to the cables as early as possible. There is only one route up and down, You may have to pass people and it is not the easiest to do so. Going early helps with less traffic. Going up the cables you will feel it in both your legs and arms. It’s definitely a very tough stretch and keep a good grip. Bring enough snacks, food, and water. You need to properly hydrate and refuel during the hike. Bring gloves for the cables. Do not attempt this hike if there is any rain or storms in the area, as the granite and cable section will get extremely slippery and one can easily slip and fall to their death. 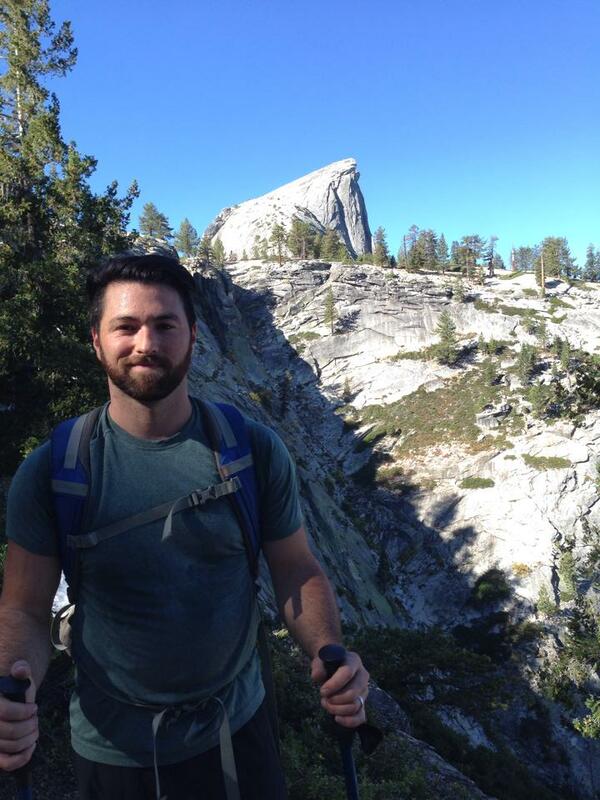 More than 20 people have died on the Half Dome cables section.